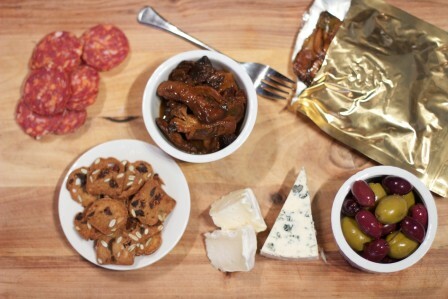 Here at West Coast Smokin’ Oysters we love to gather and preserve food. As passionate foodies we love to prepare and eat all kinds of food, but we are totally crazy about oysters—especially smoked oysters! Our obsession with oysters started when we moved to Vancouver Island from Gimli, Manitoba in 2004 and soon experienced the delicious fresh oysters from the Fanny Bay area. Oysters have been farmed in Fanny Bay for over a century, and are coveted way beyond the shores of Vancouver Island. When tasting incomparable Fanny Bay oysters, it is easy to see why! After years of smoking these succulent Fanny Bay oysters for our own consumption, our friends and family kept saying, “As you love smoked oysters so much, maybe you should consider selling them commercially? 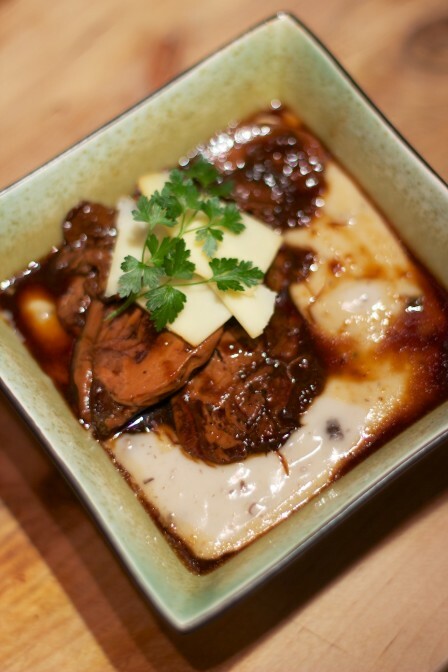 !” As all the best salespeople are those with total belief in the products they sell, like we are for smoked oysters, it seemed like a great idea, and a natural fit! So, after much research, thought, and recipe testing, we are proud to present SIX mouth-watering flavours of naturally smoked oysters, as well as two types of variety packs for anyone wanting to sample our different flavours! Our oysters are all sourced from reputable Fanny Bay area oyster producers, and processed in a federally inspected and approved facility on Quadra Island, BC. We work right alongside the owner and staff to ensure that the quality of our home-based process remains consistent in a commercial setting. 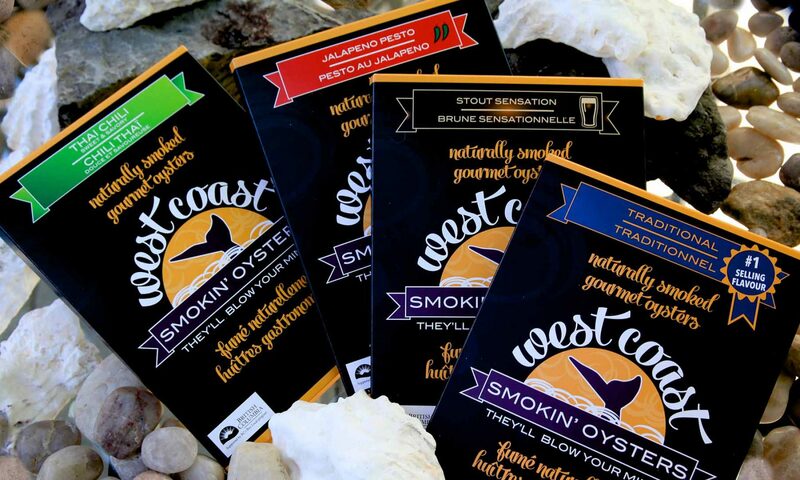 West Coast Smokin’ Oysters are packaged in special flat Retort Pouches, a packaging option that seals in the freshness, aroma and flavour of the smoked oysters, and offers greener manufacturing benefits over and above traditional canning. Read all about our special packaging here. More flavours of West Coast Smokin’ Oysters are in the works, as well as different types of out-of-the-box oyster products, so ‘like’ our Facebook page and keep an eye out for all the latest news!